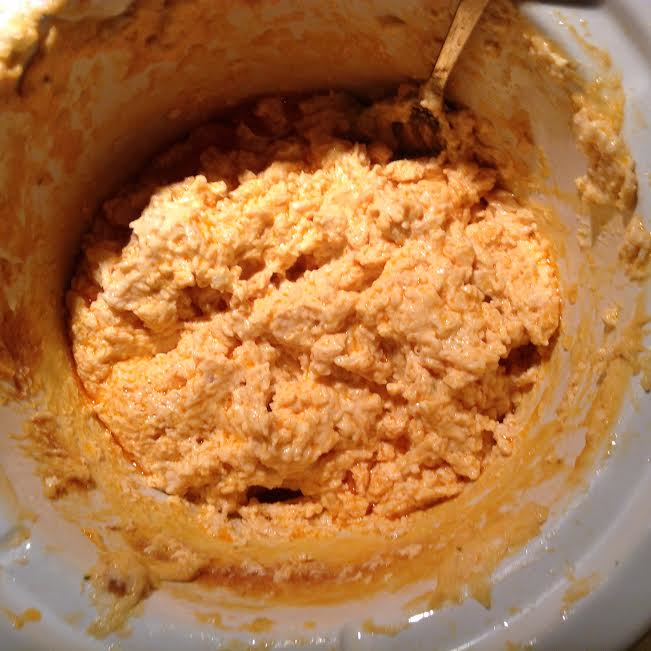 Today I’m going to share one of my favorite recipes: Buffalo Chicken Dip. With Thanksgiving tomorrow, this is a great appetizer to have sitting out for people to snack on when waiting for dinner. It’s really simple to make (and delicious too)! Combine all ingredients in a crock pot and stir until mixed together. Set crock pot on high and cook for about 1 hour, stirring occasionally. Once the dip is done, I like to turn the crock pot to the low setting and set out of bowl of tortilla chips so guest can enjoy! You can serve this with bread or crackers too; whatever you like. I like to make and serve this in a crock pot so it keeps warm throughout the day. If you want to make it in the oven: preheat oven to 350, mix all ingredients in the baking dish and cook for 20-25 minutes. This is sooo yummy! It’s definitely a crowd favorite at my house! It’s also actually a great dish to make a day ahead (which is exactly what I did).This is another reason why I like to use the crock pot. Tomorrow right before I start making my Thanksgiving feast, I’ll turn the crock pot on the low setting, and I won’t have to worry about it again for the rest of the day. I hope you enjoy, and have a Happy Thanksgiving!